This spread is inspired by the film Maleficent and comes with a spoiler alert so please watch the film before you read on and try this spread! You can use this spread any time you feel victimised and tempted to strike back. It’s OK to feel the pain deeply but it’s always better to forgive than to seek revenge! 5. True Love’s Kiss – A loving action you can take. Just like Maleficent knew with her heart to kiss Aurora, so will you know exactly what the loving action is you must take if you just behold reality with the eyes of your heart. Your mind may not be able to make logical sense of it and you may not see how this will get you your wings back… Simply trust in LOVE. 6. 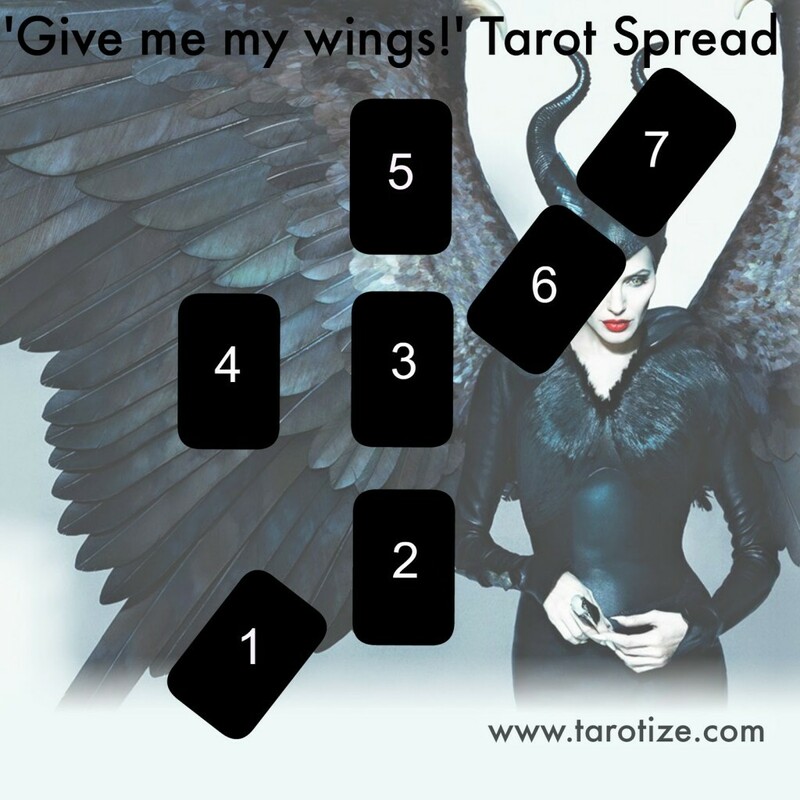 Maleficent Healed – This shows you the strength of your wings once you are ready to move on again and also which flight path you are likely to choose next. 7. Your Ultimate Destination – This shows you where you will end up so change your flight path if you don’t like your ultimate destination! I would love to hear from you if you try this spread out! Please share on FB, Twitter, Tumblr and G+ if you enjoyed this post!